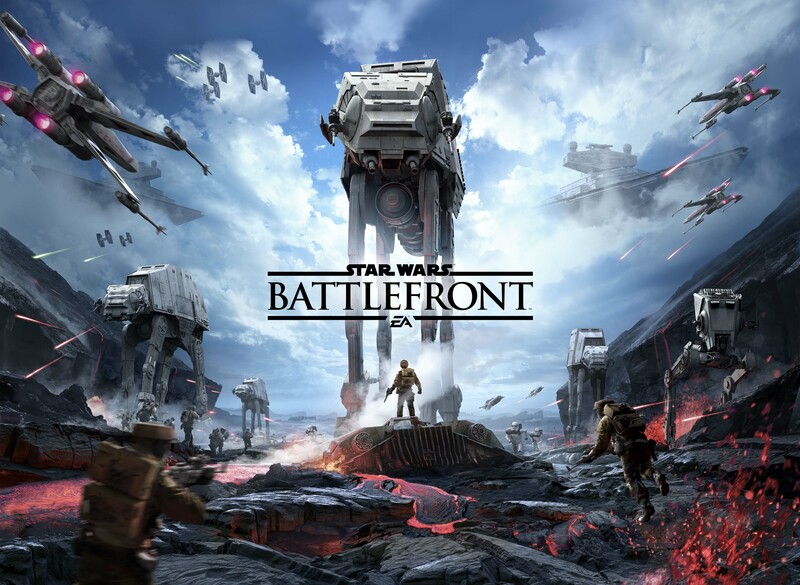 Star Wars Battlefront is back! 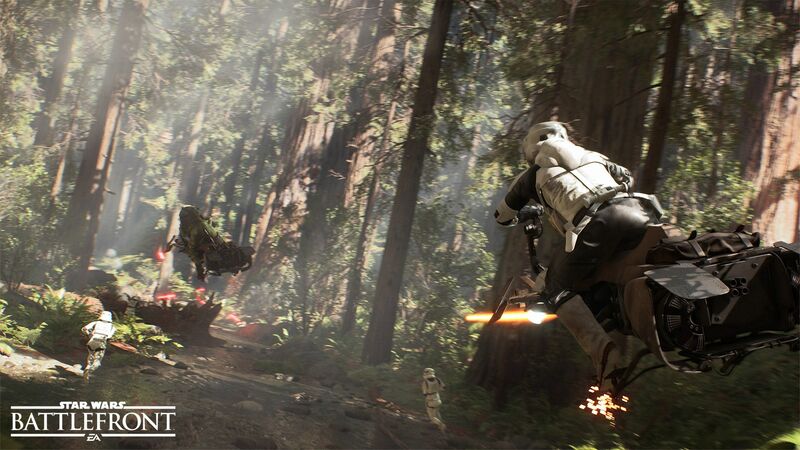 During the Star Wars Celebration event in Anaheim a teaser trailer was show for the new Star Wars Battlefront game. The game would actually be the third iteration in the Battlefront franchise. As it has been 10 years since the second game was released the franchise is starting over as a reboot. The new game takes place during the Original Trilogy but will have tie-ins with Star Wars The Force Awakens which is scheduled for release on December 18th. The Force Awakens also had a teaser trailer shown at the Celebration event which made ripples in the force online. Both fans and news media lauded the special effects and tantalizing plot. 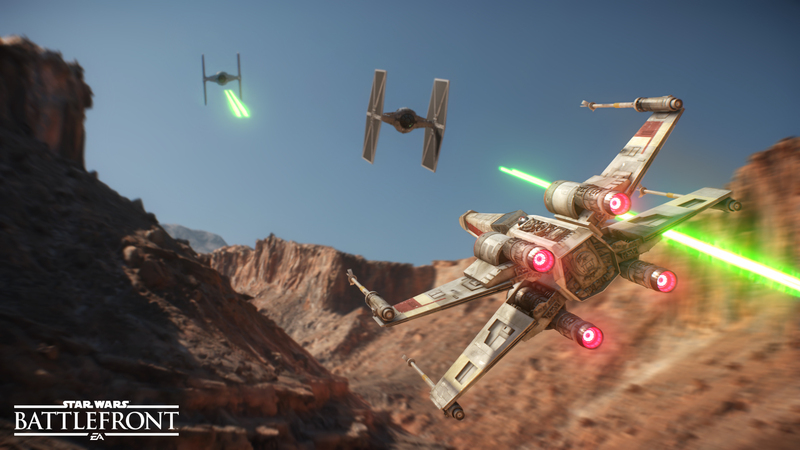 Star Wars Battlefront in turn has made news since early March when a teaser trailer was shown to a select few industry insiders. Today you can watch the trailer and judge for yourself. After the cancellation of Star Wars 1313 I was skeptical of the franchise’s future on interactive media but Battlefront certainly looks captivating. The intense fighting on Endor with its rich decor of dense foliage captivates the mood from The Return Of The Jedi expertly. 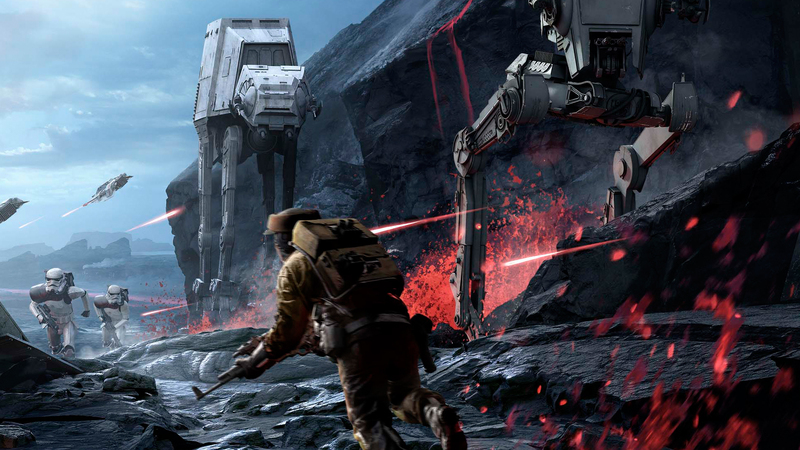 Star Wars Battlefront is scheduled for release on November 17th 2015 for PC, Xbox One and PlayStation 4. So far it has been confirmed that the tie-in with the movie will include a map on the planet Jakku. The desert planet Jakku is seen in both teaser trailers and has been mistaken for Tatooine. Then again, nobody knew better. The opening shot of the second teaser with the downed Star Destroyer is supposed to be Jakku. However, the tie-in won’t be available right away. It will be offered as a free downloadable content for everyone who bought the game just before the release of Star Wars The Force Awakens. From the teaser trailer and press releases it is clear Star Wars Battlefront will stay true to the classic Battlefront/Battlefield formula. Player can play as either the Rebel Alliance or Galactica Empire and fly everything from X-wings to Tie fighters and crew AT-AT’s. Special attention has also been given to non-vehicular combat. 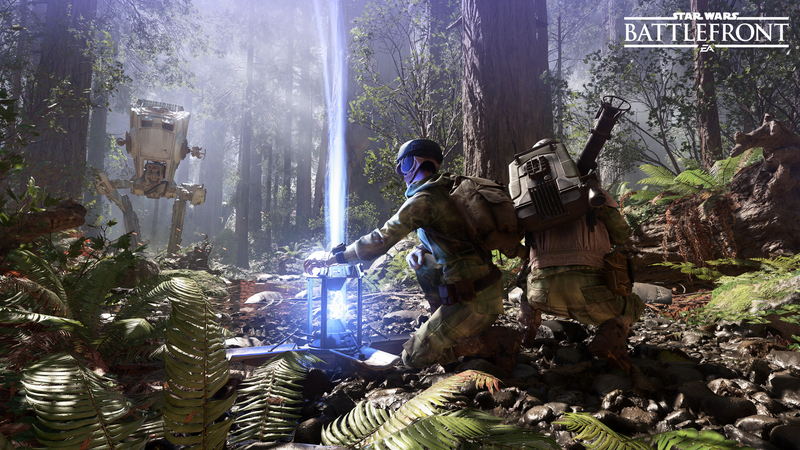 Both in the screenshot of Endor and in the teaser you can see the use of jetpacks for short hops into the air. Which is totally not ripped off from Titanfall. Both first and third-person view aspects are used. Players can play in maps with a total of 40 players at the same time. There is sadly no campaign mode but players can play in cooperative mode. I am curious whether upgrades have to be earned and bought like in Destiny or World of Tanks. Such a progression based system may exclude the worst amateurs from ruining the game for fans. So far the worlds that can be played on are Jakku, Endor, Hoth and possibly Sullust. From the trailer a volcano planet is also in the works, but it may well be Sullust. 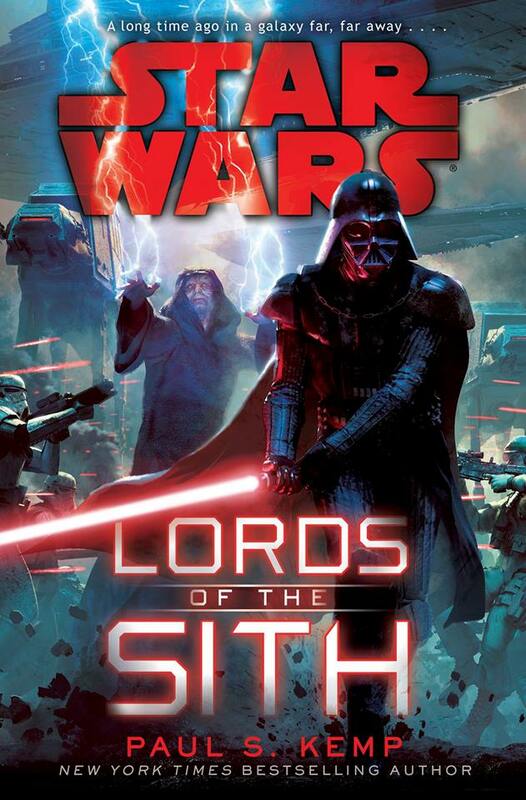 The Lords of the Sith book Giveaway! Now before you leave I have an announcement to make. It has been a while since I have done a giveaway. I think the last one was Mentats of Dune last year. I am thinking of doing them more regularly in the future and the first one on the horizon will be The Lords Of The Sith by Paul S. Kemp. This tie-in is intended to detail more of the background between Darth Sidious and Darth Vader. Sometime next week I will announce how to enter the giveaway and how you will have a chance of obtaining a free hard-back copy of the book. The book is scheduled for release on April 28th so you won’t even have to wait long. See you back next week. 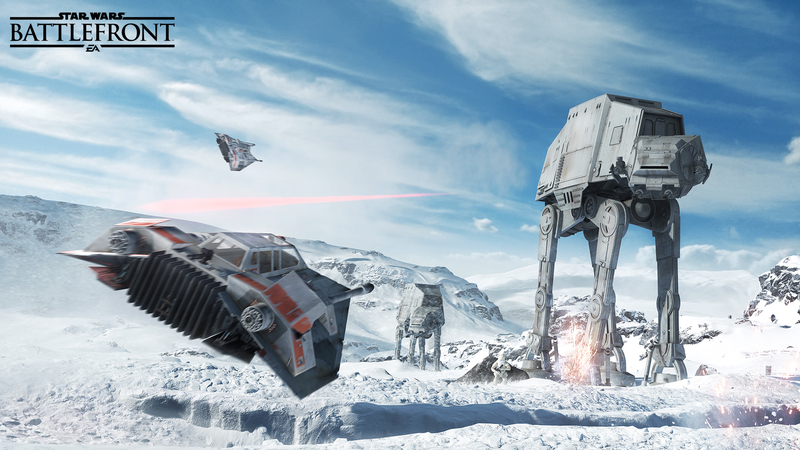 This was Star Wars Battlefront (2015) Preview. I hoped you have enjoyed reading it. Previous story New Star Wars The Force Awakens Trailer Released!